An accomplished, humble and creative professional, Bill Yue Luan, BSEE ’84, MSEE ’85, personifies the many values instilled in SIUE graduates. Bill has paired the education he received at SIUE with his personal interest in technologies to accumulate a long list of professional accomplishments, including time at Microsoft and Google, where he is currently working. A native of Shanghai, China, Bill came to SIUE in 1980 to pursue a college education, and he selected electrical engineering as his major. Wanting to take advantage of study abroad opportunities, Bill connected with distant relative Dr. David Luan, a former professor in the Department of Economics and Finance at SIUE. Bill applied for a part-time job in the Lovejoy Library during his senior year. As a student worker, Bill’s primary duty was to count student usage of audio visual (AV) tapes at the library AV lab. During his employment, the library purchased its first batch of Apple computers for student use. He became curious about computer programming, and bought a BASIC programming language book and began to teach himself about programming. Once developed, the system recorded student usage times by simply letting student workers enter usage data into the computer instead of counting them manually by hand and adding them up on calculators. This new program dramatically improved the efficiency of SIUE’s AV usage tracking system and helped the library submit more accurate data to various departments. After graduating with a master's in the fall of 1985, Bill began his career in Toledo, Ohio, working for Owens-Illinois as a system engineer, designing automatic control systems to improve the furnace control system for glass bottle manufacturing. Three years later, he moved to Sheffield, Ala., to join Reynolds Metals Company, where he designed aluminum sheet manufacturing process automation systems. He became the chief designer of the soaking-pit control systems, aiding in the production of millions of soft drink cans each month. “I designed and installed nine of these systems during my time at Reynolds. Each system is still in operation today,” he said. “Imagine how many soda cans have been made over the years by these systems!" Bill moved to Atlanta, Ga., after working at Reynolds, to work as a senior system engineer for Siemens, a global electrification, automation and digitalization company. In the mid-90s, Bill joined Motorola in Atlanta to design mobile device software. He became a product manager for the Motorola PageWriter 2000, a new product that enabled pager users to reply directly to paging messages. "In those days, cell phones were not as pervasive as they are today,” he said. “A two-way pager was a life-saving tool for doctors, police officers, firefighters, truck drivers and others. They could reply to urgent calls to report live status and help coordinate important tasks." It was a presentation Bill made at a product conference about his software which would catch special attention from Microsoft and change his career path significantly. In 1998, he was recruited to the Seattle area to work for Microsoft. He became the Program Manager for ActiveSync, a product connecting mobile Pocket PC devices to PCs to allow data synchronization between them. After working on the ActiveSync product for two versions, Bill became the program manager of a newly-created Microsoft Windows Embedded team in early 2000, an operating system which would enable developers to create many applications for embedded devices, ranging from store checkout machines and ATM terminals, to medical devices and much more. Bill became a frequent speaker at technical conferences both in the United States and China. He also authored and published a best-selling book on software project management for China’s information technology industry in 2005. 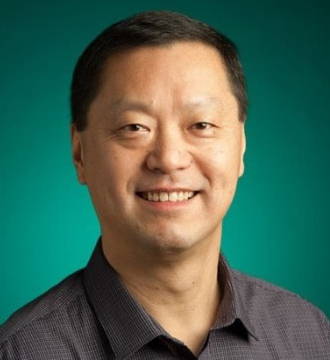 Today, Bill works for Google as a regional lead for the Developer Relations team. He is responsible for providing training to developers who use Google technologies and other open technologies to create web and mobile applications for customers around the world. "Open-sourced technologies are what the industry should rely on, which helps the innovation, and I see a strong value in our work for many innovations around the world,” he said. “At Google, we are constantly promoting this vision and believe it is the best strategy for innovation and for the industry. Just look at the countless apps and games available on Android, an open-sourced mobile platform, for example. These are the result of developers learning our technologies and applying their creativity. This is the power of open technology and what it can bring to end users globally." Having now assisted in the creation of several key technology products, Bill is proud of the fact that the many high-tech products he contributed to creating have resulted in business opportunities for many companies, as well as provided convenience to countless consumers and made positive impacts on the world. Now happily residing in Seattle, Bill and his wife, Jean, have raised two sons. The older son, Denny, runs a startup company in California called Experiment.com to help fund science research. The younger son, Alan, is currently on assignment in Europe as a member of the Peace Corps. Bill is very proud of his kids as the next generation of Americans making their difference in the world.